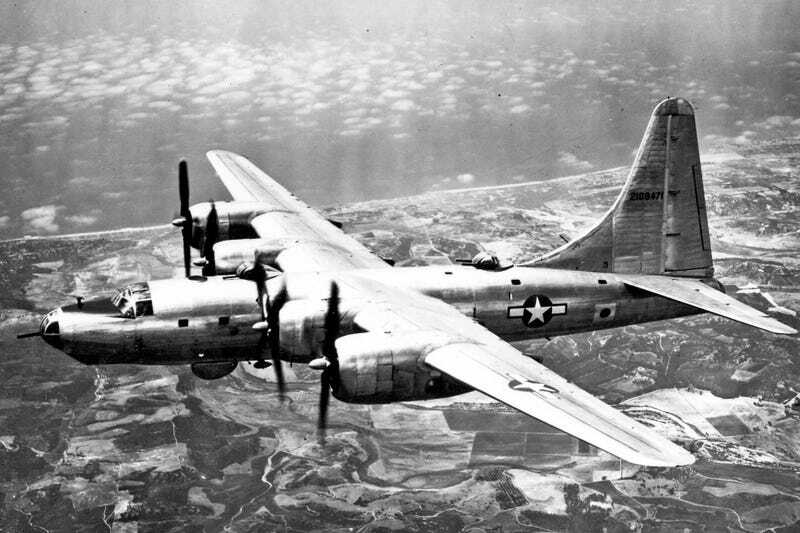 The Consolidated B-32 Dominator was developed as a back up to the Boeing B-29 Superfortress should that plane turn out to be unsuccessful. Thus, only 118 were ever built. The type saw limited service at the end of WWII as both a bomber and a reconnaissance plane, and was the last American aircraft to see combat in the war when two B-32s on a reconnaissance mission were attacked over Tokyo three days after VJ Day. That attack resulted in the death of one the Dominator’s crewmen, making him the last American aviator to die in combat in WWII. After the war, all the remaining Dominators were either lost to crashes or scrapped.